ArchiCAD helps you design and implement your architectural projects faster than ever! No more waiting for views to load. GRAPHISOFT has extended its robust 64-bit and multi-processing technologies with background processing - an industry first for BIM. 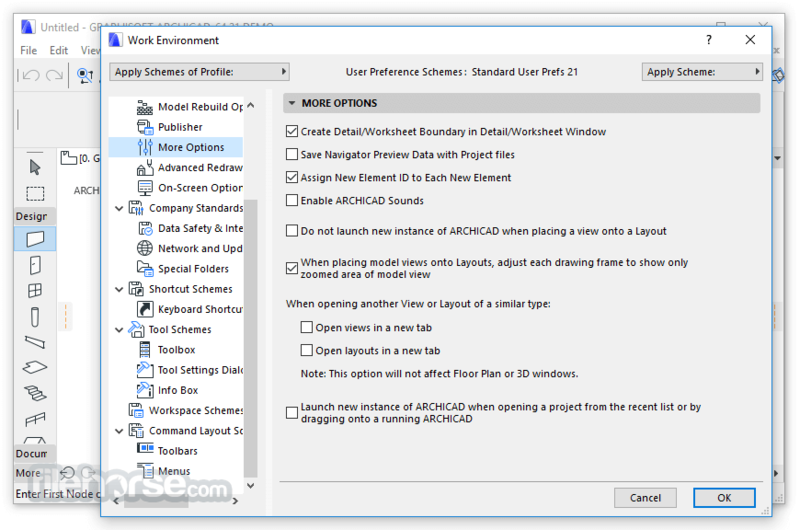 So ArchiCAD now offers lightning-fast response times and this turbo-charged update to ArchiCAD makes it the undisputed speed leader in the BIM business. Innovation has been a key differentiator for ARCHICAD since the beginning. ARCHICAD introduces the highly-anticipated Stair Tool, featuring GRAPHISOFT’s patent-pending Predictive Design™ technology. 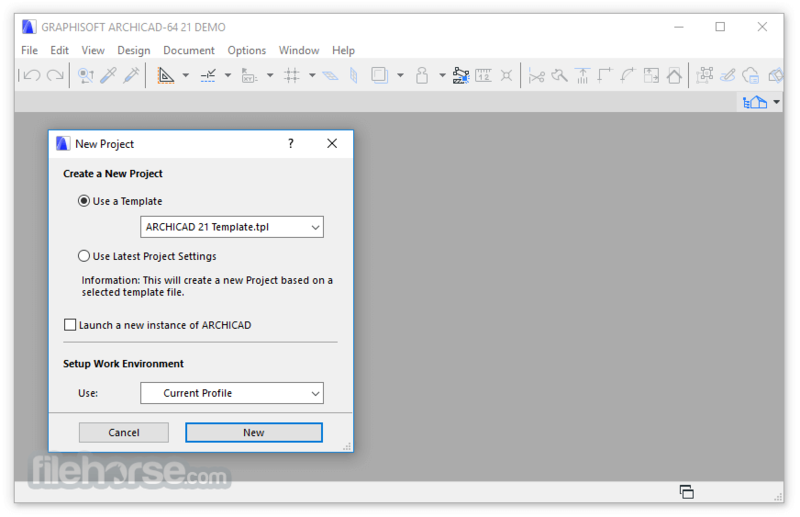 ARCHICAD delivers a number of other, important functional improvements in the fields of visualization, OPEN BIM, performance and productivity making this version one of the strongest in GRAPHISOFT’s history. Designing stairs is one of the most complex tasks in architecture. ARCHICAD Stair Tool offers the most optimal stair designs to choose from in the context of the specific building. Complex yet configurable railing systems can be created that are associated with Stairs, Slabs, Walls, Roofs or Meshes. ARCHICAD integrated CineRender - based on MAXON’s Cinema 4D v18 rendering engine - offers architects high quality, photo-realistic rendering in the BIM context. An ARCHICAD design model can be described as a central BIM database that stores all project data and makes it accessible to any project stakeholder. External IFC model content created by consultants - such as Structural or MEP engineers - can be placed as hotlinks into ARCHICAD design projects as protected reference content. With the evolution of BIM as the de facto workflow, architects increasingly receive consultant information in a BIM format. Uniform Rich Text Format is introduced in all text-related tools: texts, labels, dimensions, interactive schedules. 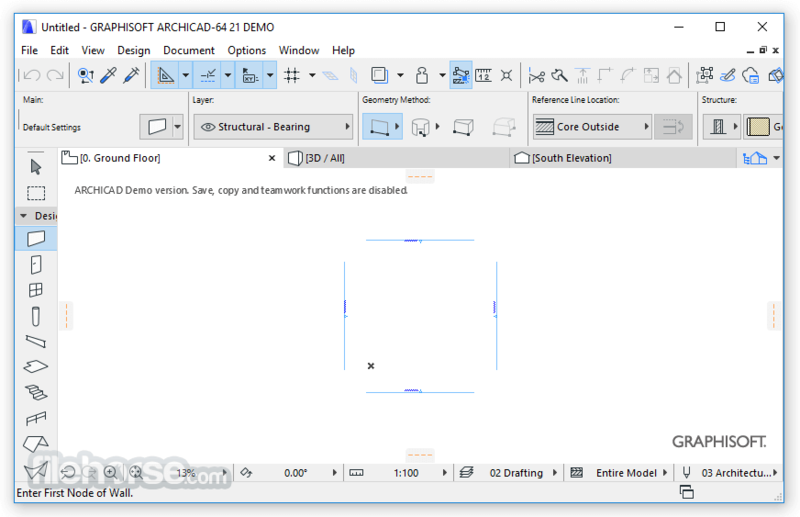 ArchiCAD greatly improves in-model visualization with shadow casting in 3D OpenGL views. Live 3D views of the BIM model in addition to being work-views also become a standard basis for communicating the design intent with clients. 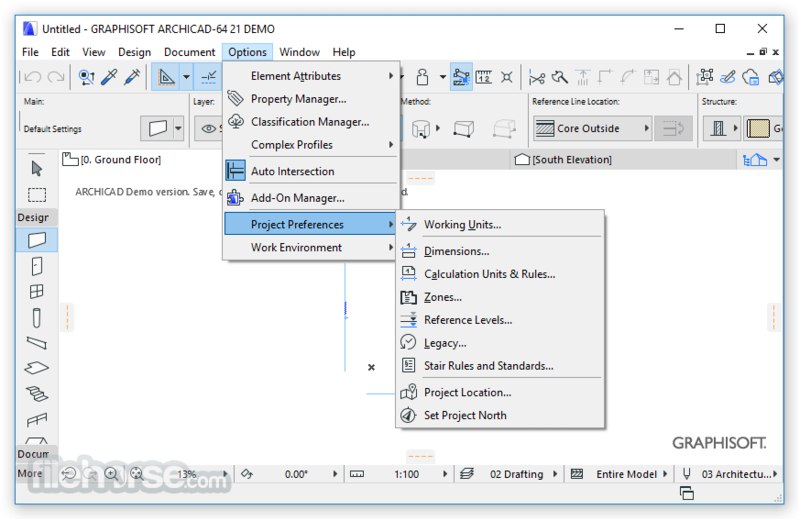 ArchiCAD offers users increased control over model-based sections and details of doors and windows. An extended set of Reveal and Wall Closure setting options make creation of refined details a fully automatic process. 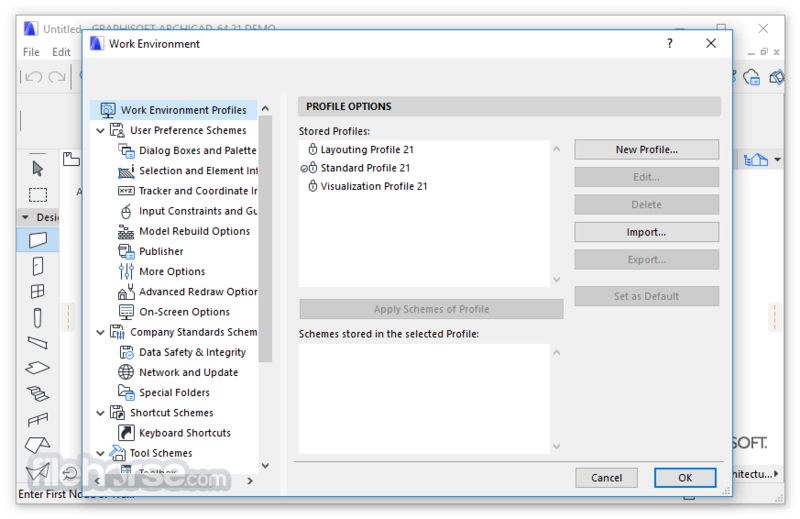 ArchiCAD introduces standard spreadsheet editing techniques to improve productivity in Schedule and Index windows. Quantity take-offs can now be exported to Excel with graphical information included for WYSIWYG results. Note: In demo version, save, copy and teamwork functions are disabled. Watermark on prints.